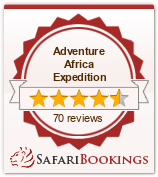 Africa Expedition offers a wide variety of cultural itineraries to the East Africa countries of Kenya, Uganda and Tanzania catering for the discerning traveler looking for a rich experience in the wilderness of Africa. Culture and ecotourism in Kenya are value added trips that are increasingly being sought after by the discerning traveler. Most of our safaris in this regard takes the traveler to the shores of Lake Victoria where the tourist interacts with the Luo, the Abagusii, and the Kuria people, delving into their customs and folklore. Other trips take you further west to the land of the Abaluhyia people where bull fighting and Isikuti traditional dancers a sight to behold. This is also the home of Kakamega Forest, one of the last tropical forests on the Equator, with its richness in flora and fauna. Search for butterflies and rare orchids in this dense equatorial forest and learn about the conservation efforts of the local community. KIT- MIKAYE: According to the Luo legend, these famous rocks form the place where Mikaye (the mother of Luo tribe) sheltered herself after a long journey down the Nile. The local people still believe that Mikaye can be spotted around this place to this today. LWANDA MAGERE STONE: Lwanda was a Luo warrior, it is believed that during his time he turn into a stone and that he could fight and nobody could kill him. At one time war broke between Luo and Kipsigis tribes, Lwanda - which means the rock - killed very many people during this war. After peace was negotiated Lwanda was given a woman from the kipsigis tribe whom he married. This woman learned and knew the secret of Lwanda�s life (His shadow was his true self). One day when Lwanda fall sick the woman was told by Lwanda to treat his own shadow. The war broke out again and the woman went back to tell her people the secret of Lwanda. On the day he died he killed so many people before they finally tried what what their daughter had told them, finally one of the warriors took his spear and threw it at the shadow of Lwanda who fell down and died but not before killing the person who had pierced him. He turned into a stone which can still be seen today. The people around this place believe that this is a true story. RAMOGI HILLS: Ramogi (the father of Luo tribe ) settled here after long journey from Uganda with his people. You can visit this home which is now a forest. There is a stone which is believed was previously a bull which turned into a rock. CRYING ROCKS: This is a place of ceremony. Climb the rocks and get the history of these rocks from local people. Situated on the western part of Kenya in Kakamega district, Khayega.